Would you like to give someone a very special treat? I have personal styling and personal shopping gift experiences, for both men and women. I can tailor this entirely to the needs of the recipient. This really is one of those gifts that just keeps on giving. The vouchers start from just £125. Please contact me below for more information or to purchase the voucher. 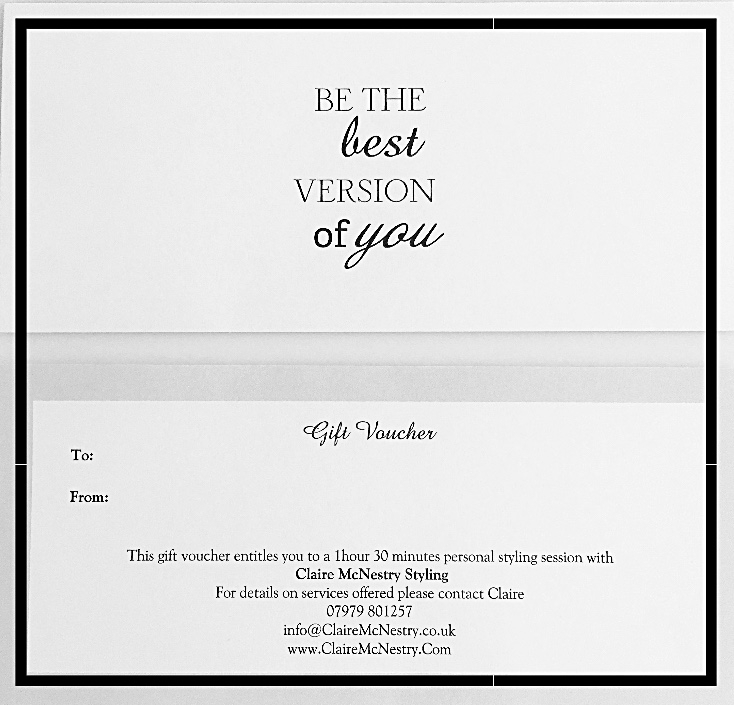 Each voucher is valid for 6 months and comes beautifully gift wrapped.